The Money Tree is considered a powerful symbol of good luck and prosperity. It has a meticulously-braided trunk under a beautiful canopy of leaves which expand with time. We’ve learned by now that money doesn’t grow on trees, but if something this luscious and lovely could help you prosper even a little bit, why not give it a go? 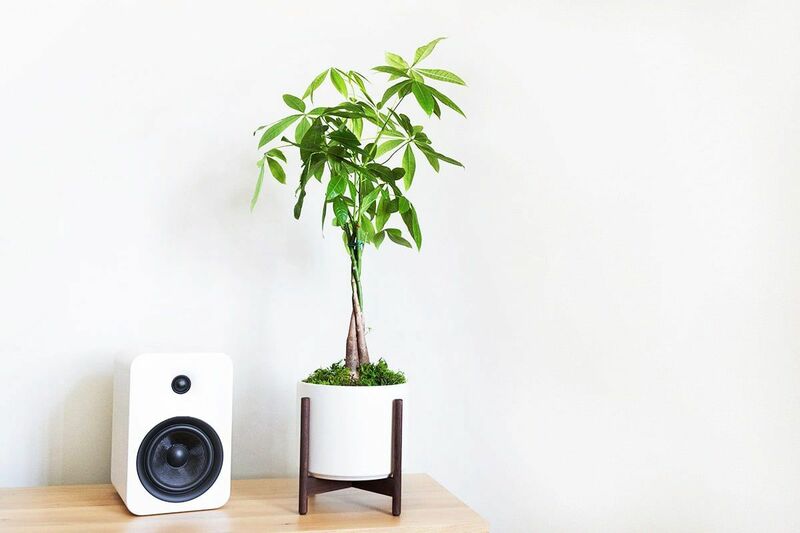 This Money Tree makes for a perfect gift or starter plant for improving the feng shui of any interior. Money Trees are tolerant of a wide range of conditions, but will thrive in bright, indirect light and slight humidity. Follow the instructions below and you should not have problems with your Money Tree. 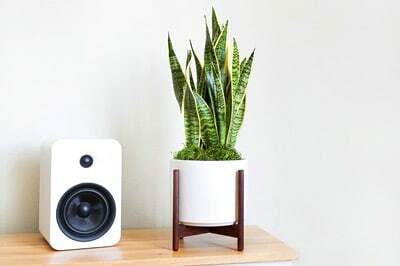 All plants experience some shock when moved around and may take a bit of time to adjust to their new environment in your home, but the Money Tree – like all our plants – is strong and adaptable, so take care of it and give it patience and it will reward you with its beauty. The Money Tree likes bright light, but direct sun can burn the leaves. So make sure it's placed where the light is filtered or out of direct path of the sun. This tree will also happily tolerate medium-brightness areas if needed, but it may not grow as fast. 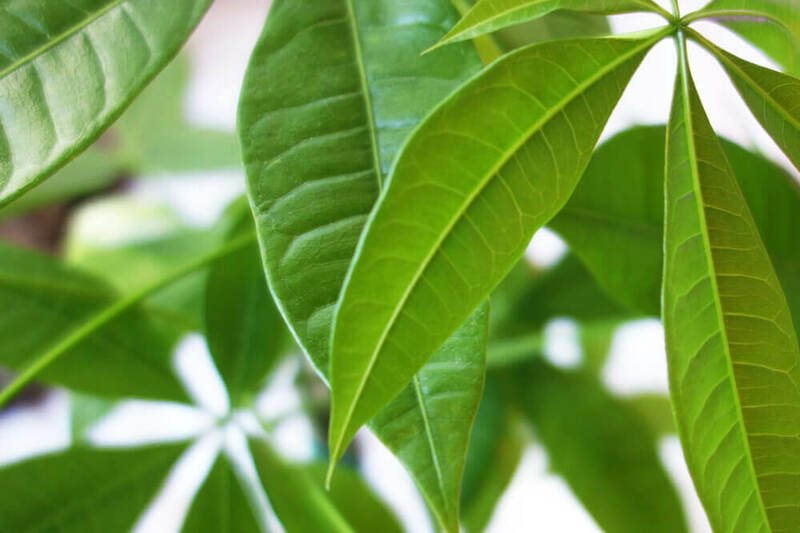 The Money Tree is a tropical plant so it prefers humidity, but it should only be watered once the top of the soil feels dry to the touch, which is probably about once a week depending on the conditions in your home. Feel the soil under the moss to see if water is needed, and give it a good soaking if so. As with all plants, avoid overwatering and drain any excess water from the bottom of the saucer, as standing water may cause root rot. Sometimes leaves dry up and drop off and that's part of the normal growth process of the plant, especially as it's still adjusting to its new environment. If a lot start yellowing and dropping, it may not be getting enough water. Feel free to trim away any dead or dying brown leaves by cutting them off at the base of the leaf's stem with a sharp scissor. Write us at hello@leonandgeorge.com with any questions about your Money Tree not covered here.